Mansfield Town v Newport County. 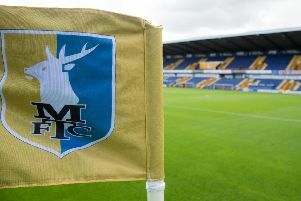 'Tyler Walker scores for the Stags. Striker Tyler Walker hailed a dream debut after getting off the mark in a comfortable win for Stags. The Forest loan star opened the scoring with a cool 12th minute finish, before Mansfield wrapped the points up thanks to a brace from Otis Khan. A delighted Walker said: ”It was a dream debut for me. The first goal was important as it was an even contest to that point and I am just glad I was able to get the goal for the boys. And the striker was also keen to praise the work of the rest of the team in getting the win. “We have done all the work in pre-season and we wanted to win today, I was just doing my job.